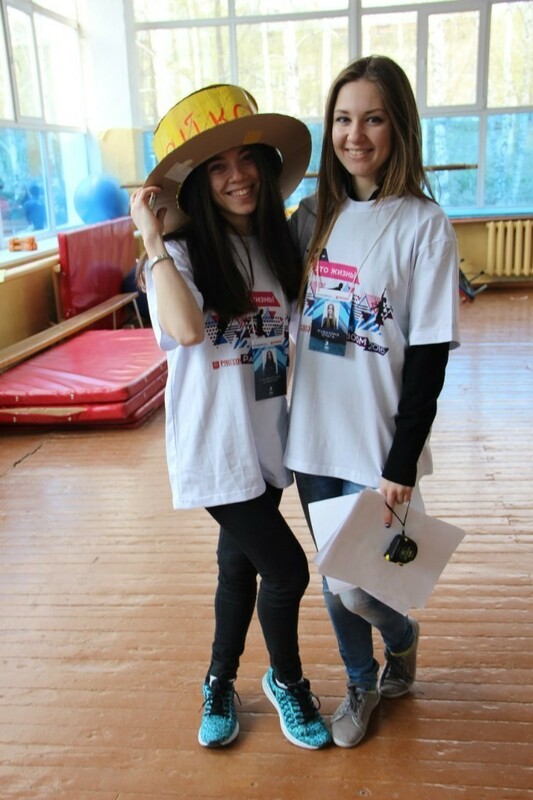 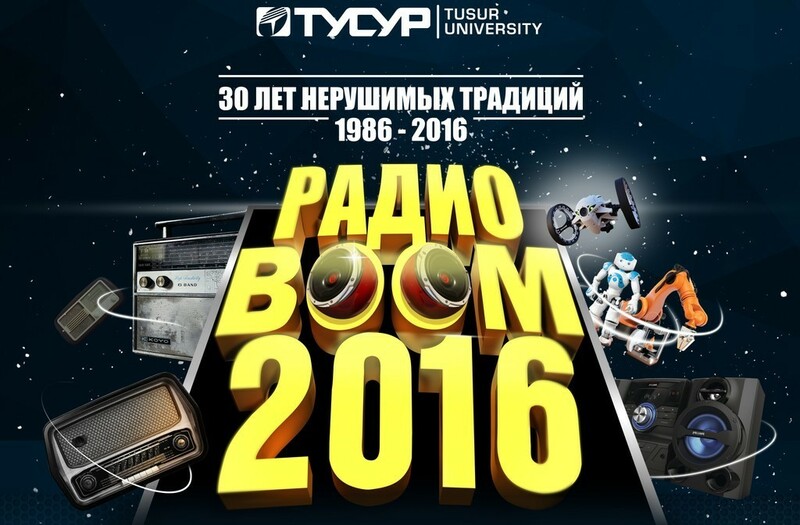 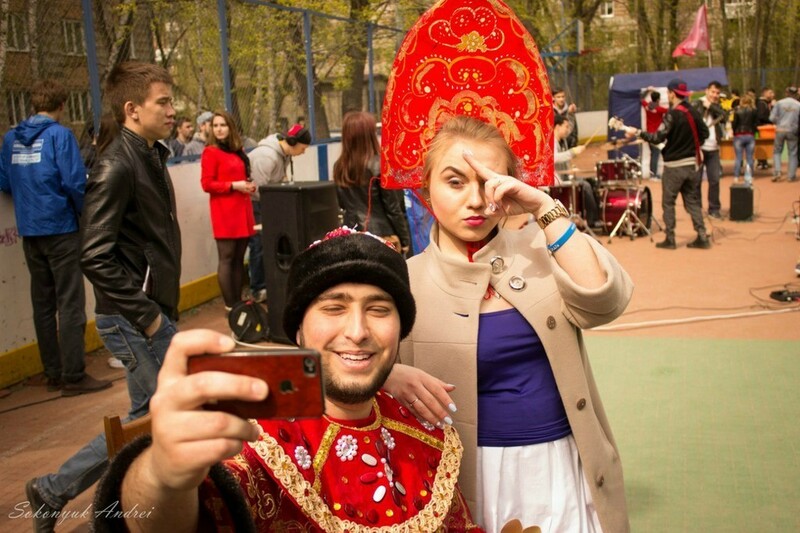 TUSUR University has held its traditional RadioBOOM festival in celebration of the Radio Day. 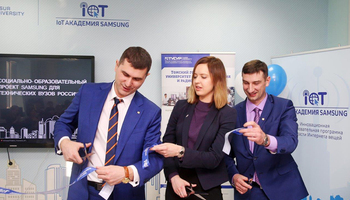 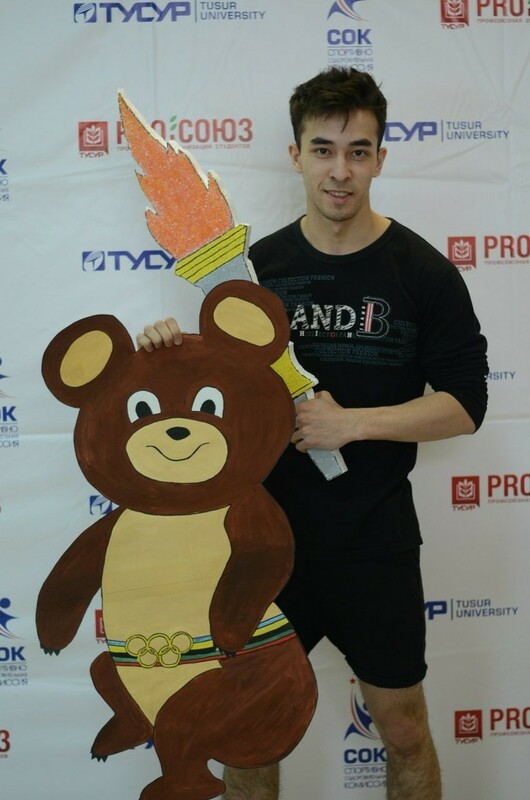 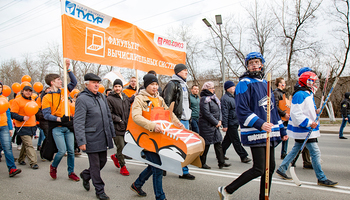 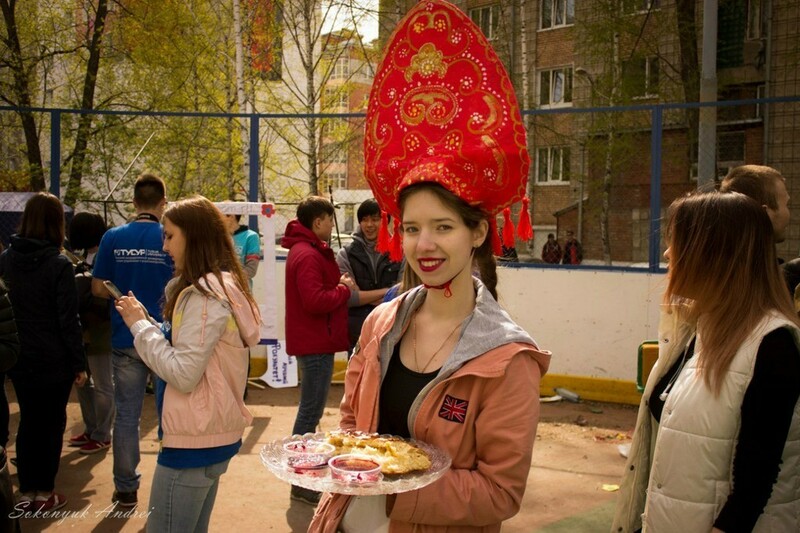 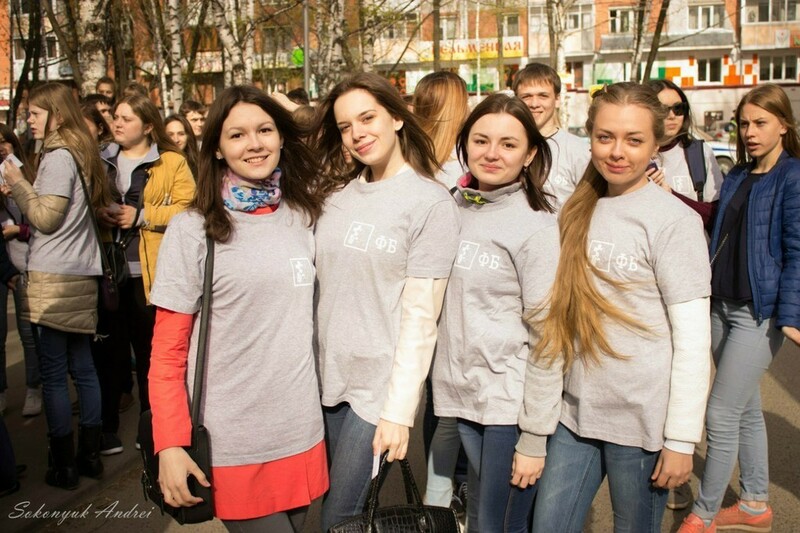 Students of TUSUR University celebrated their professional day by a torch light parade and by throwing old electronics out of their dormitories, which are the two oldest traditions of the festival. 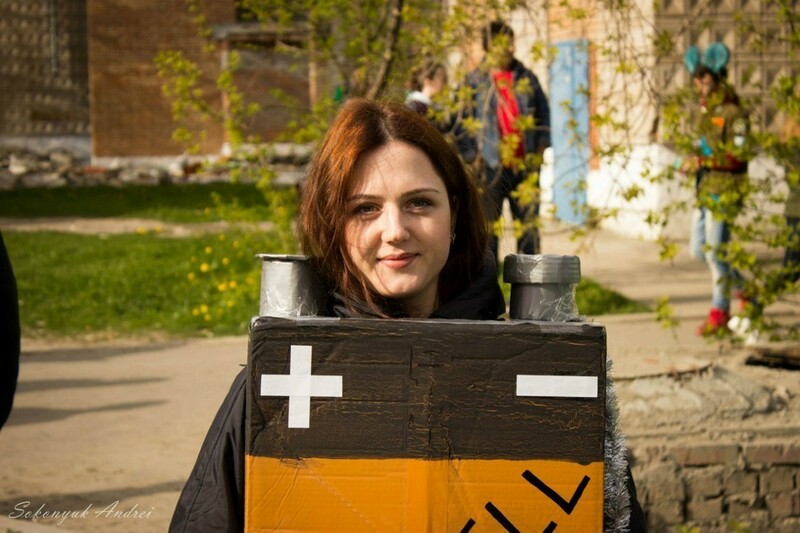 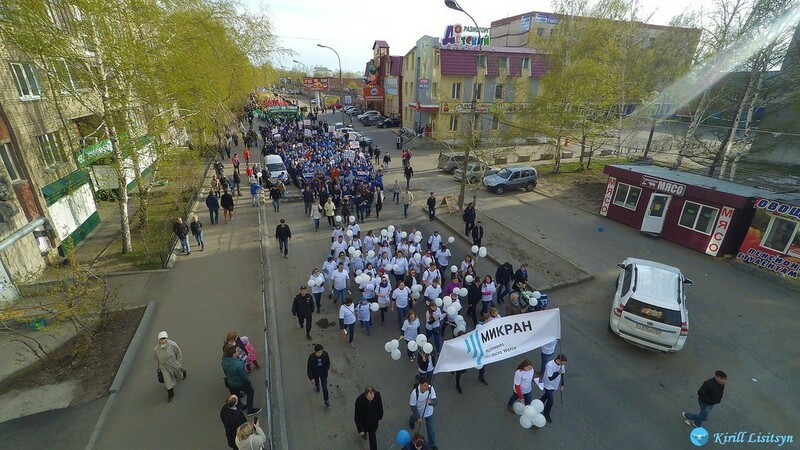 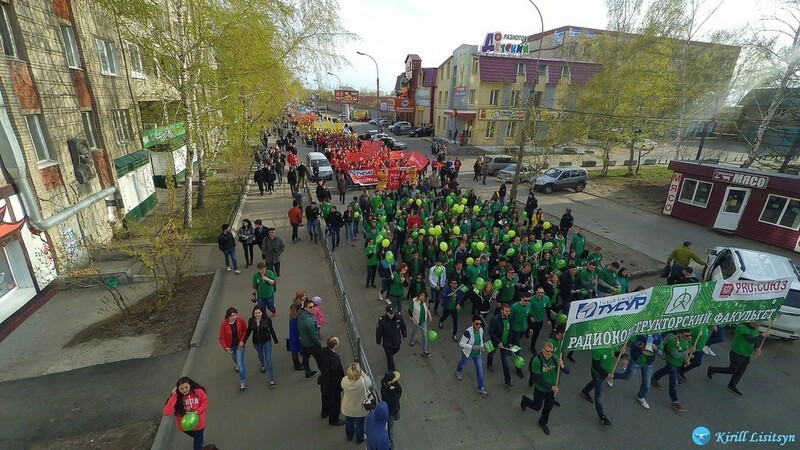 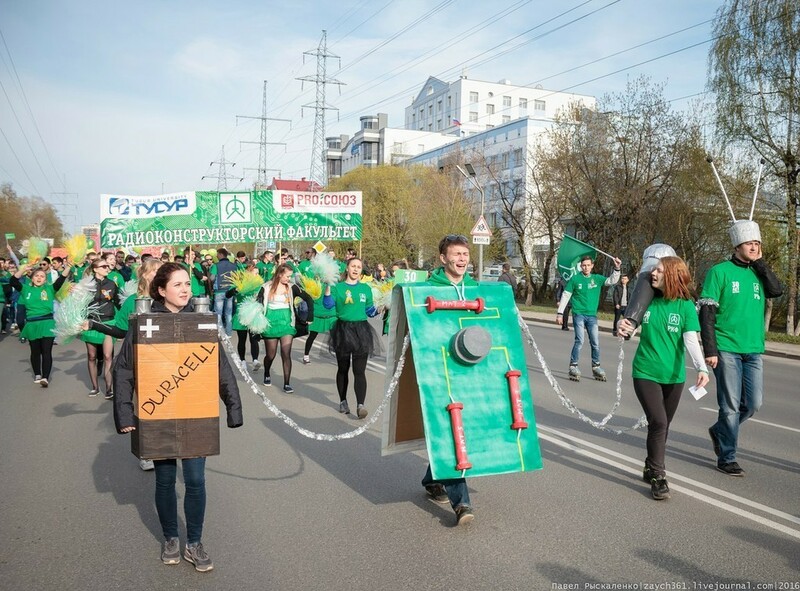 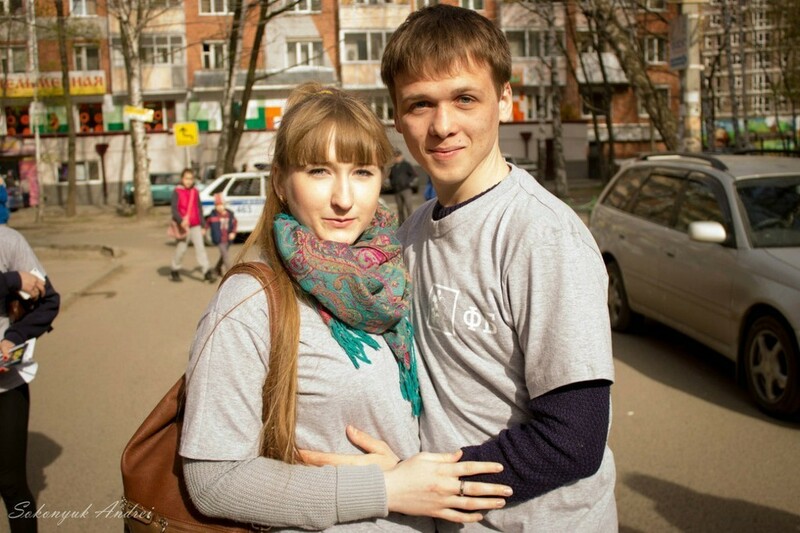 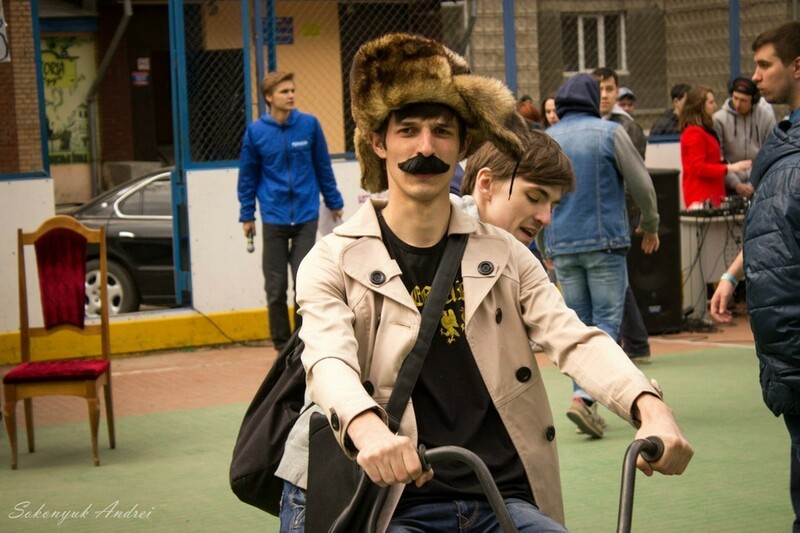 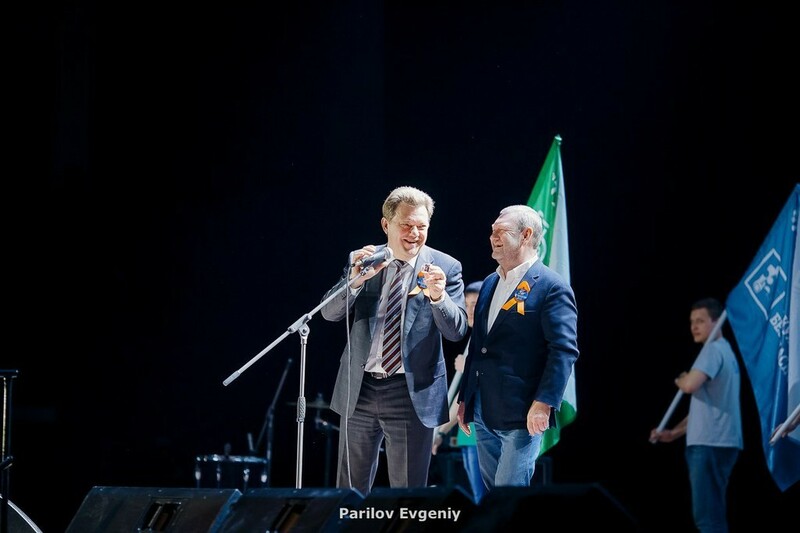 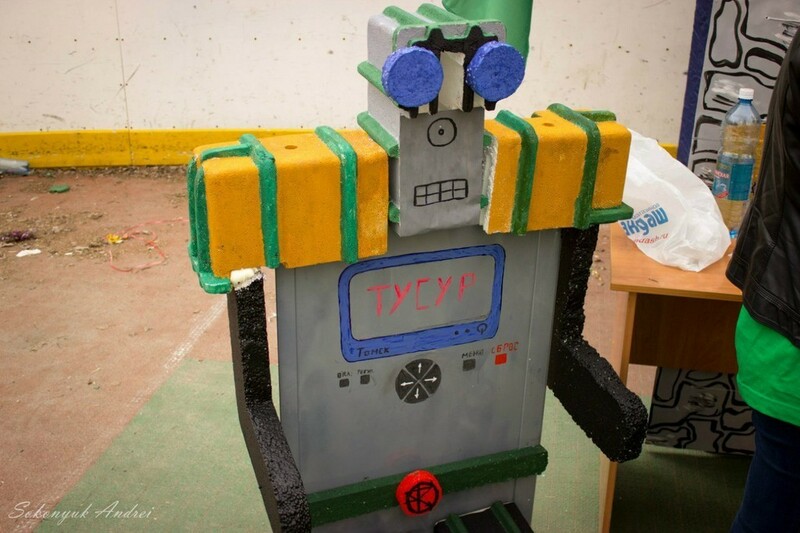 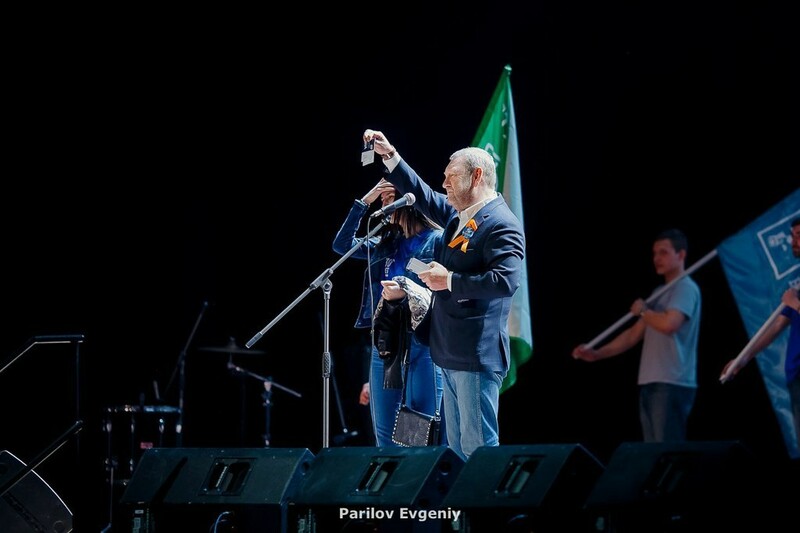 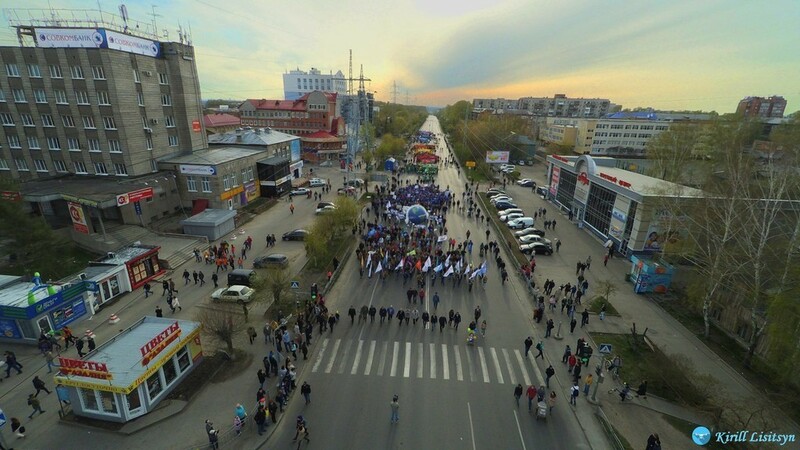 On May 7, 1986 radio-engineering students for the first time paraded through the streets of Tomsk in celebration of one of the greatest inventions of the modern civilization. 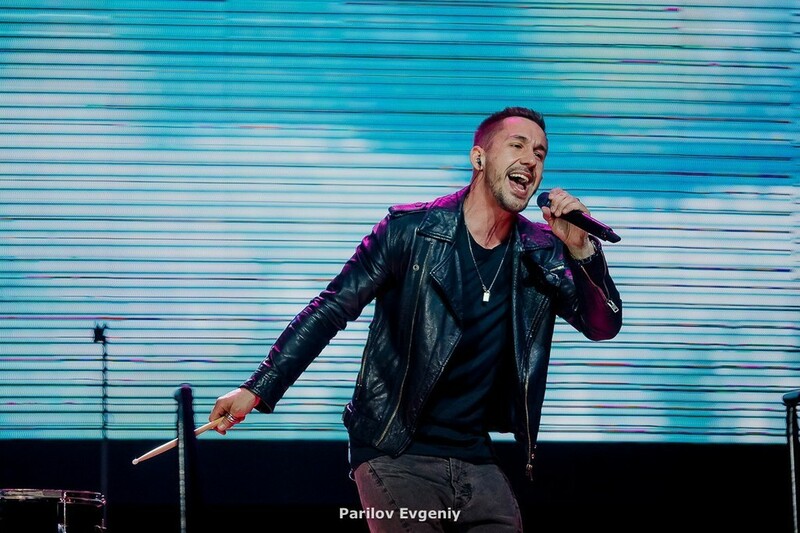 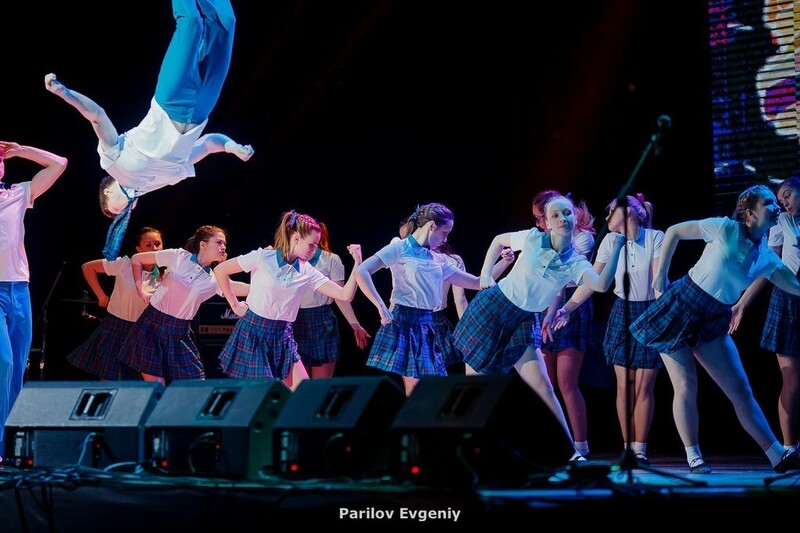 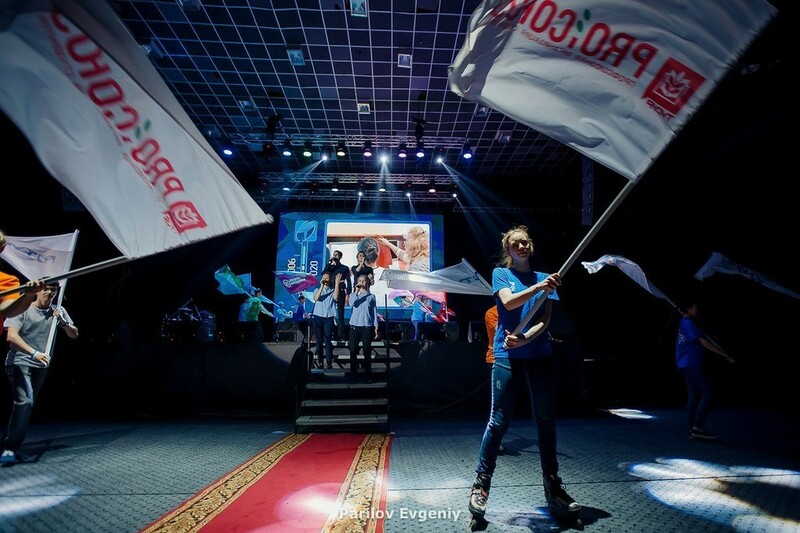 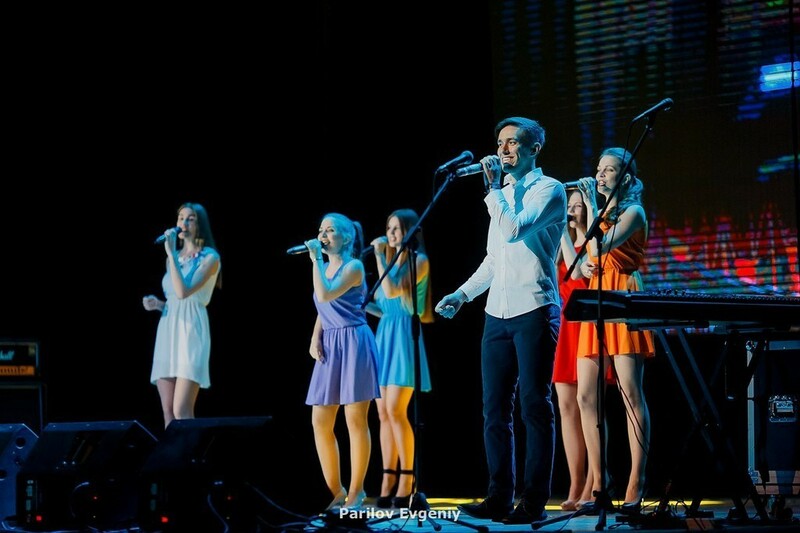 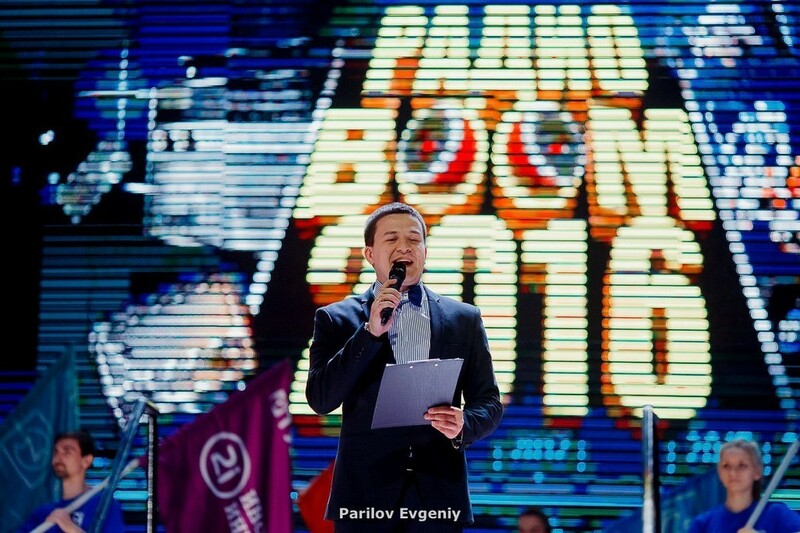 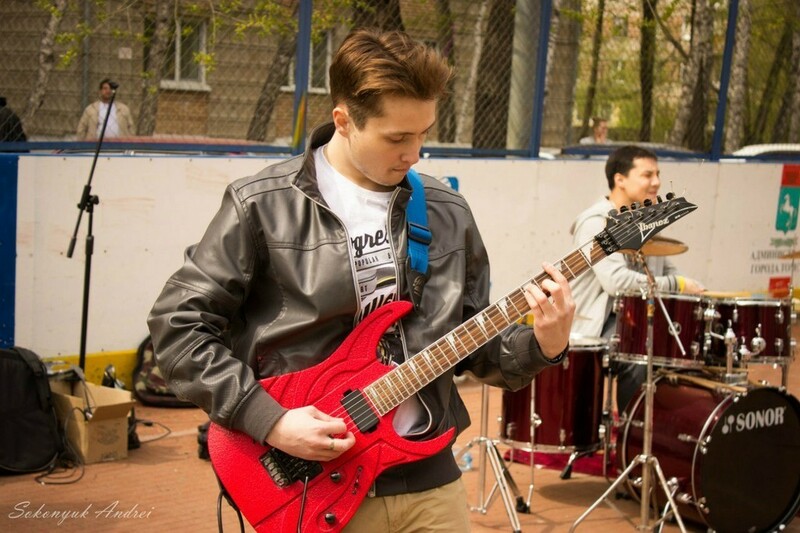 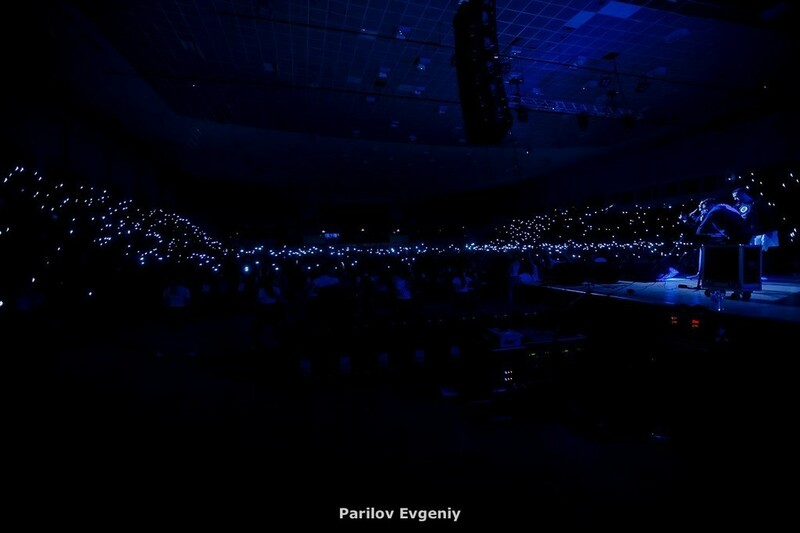 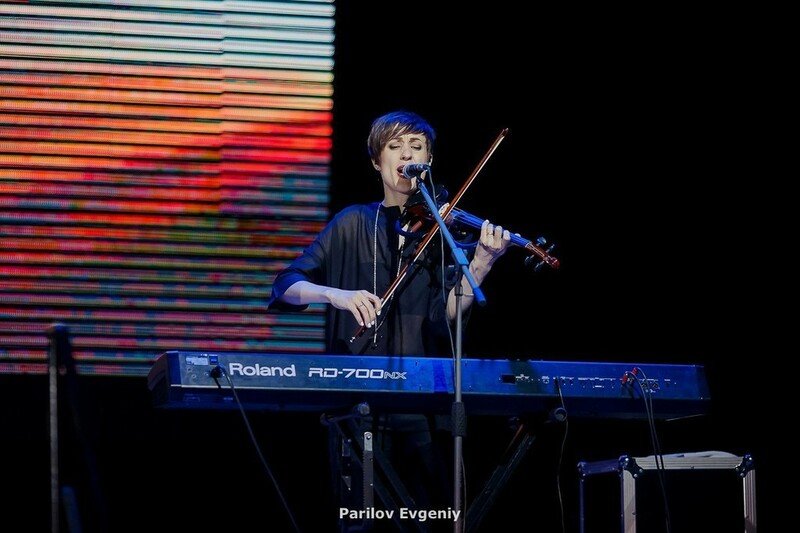 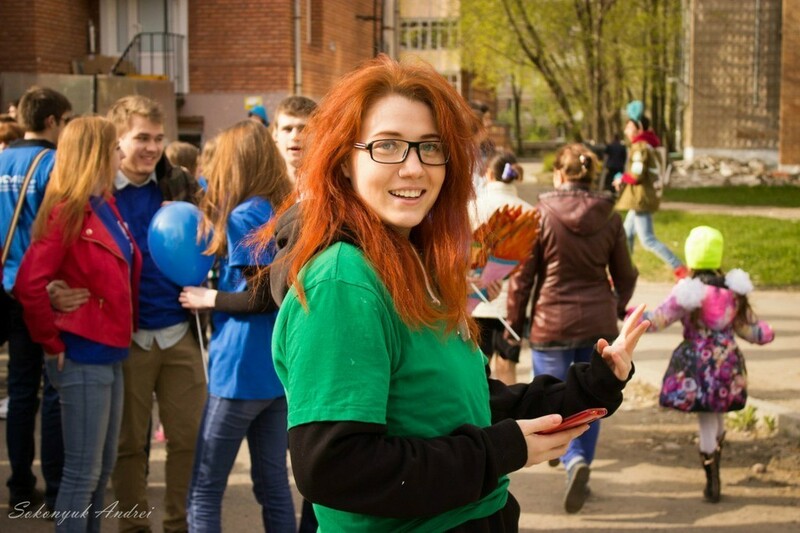 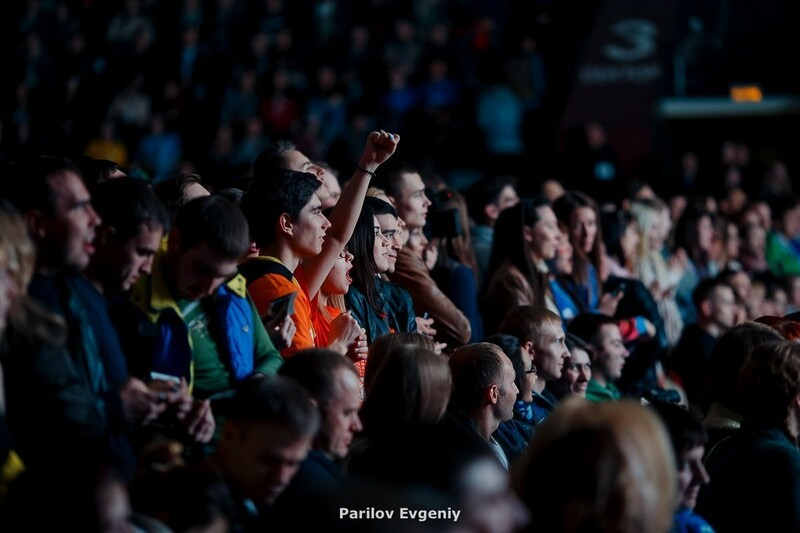 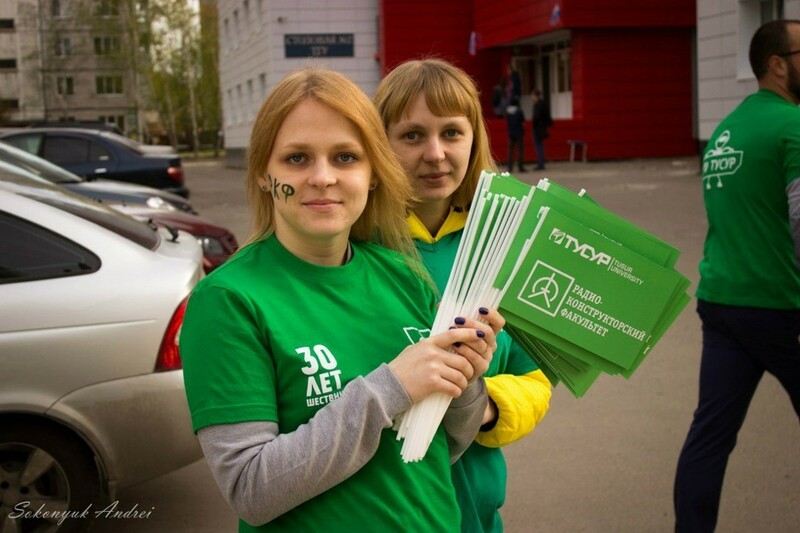 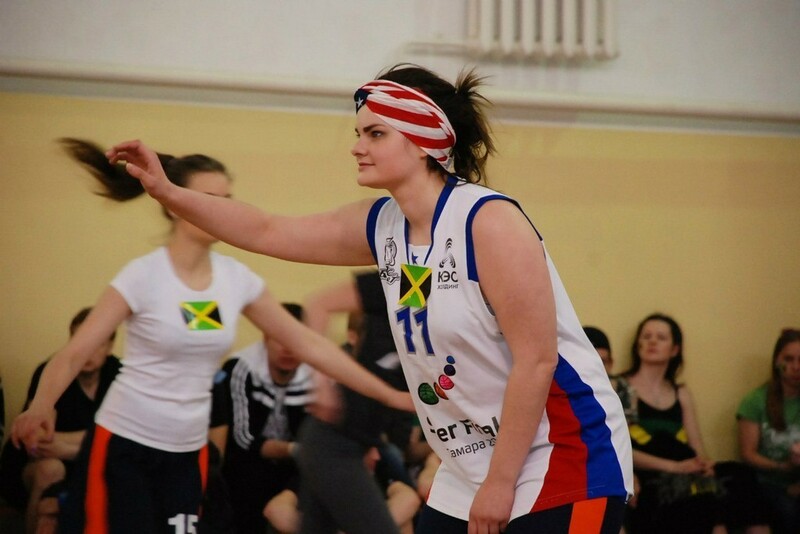 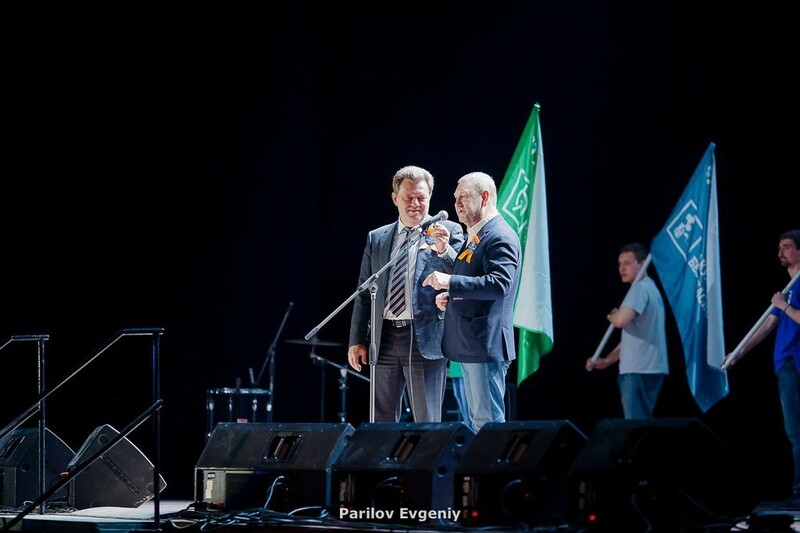 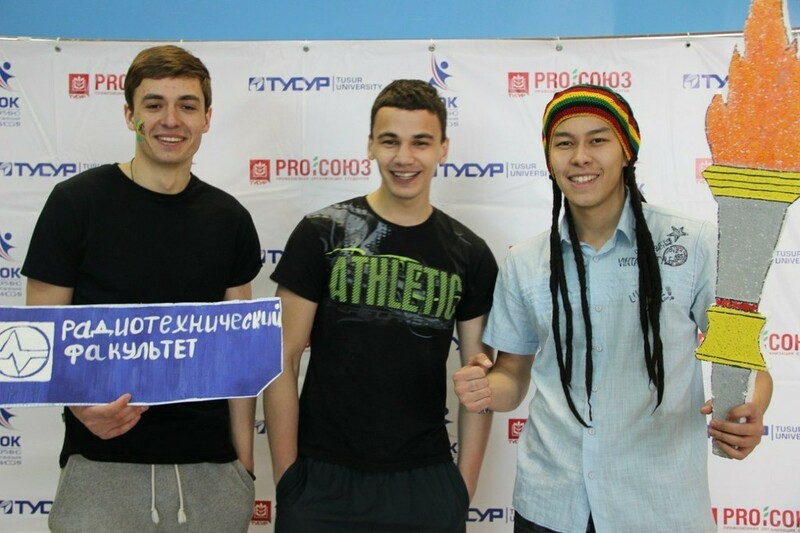 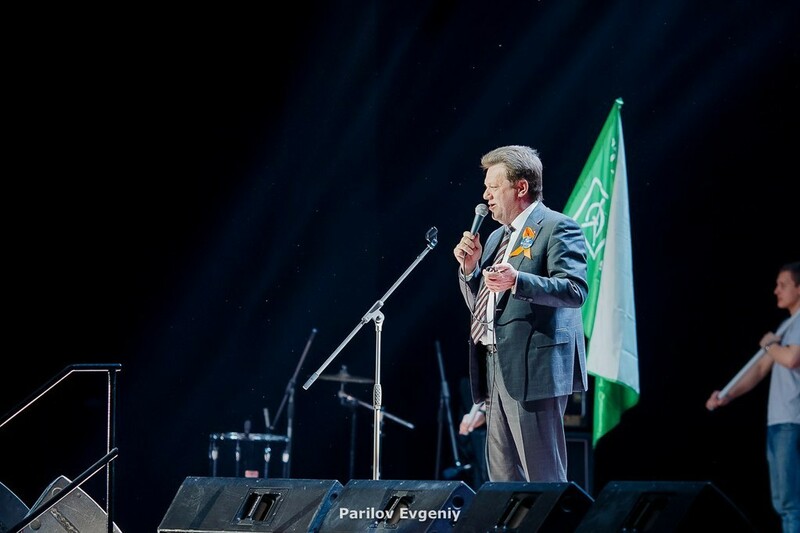 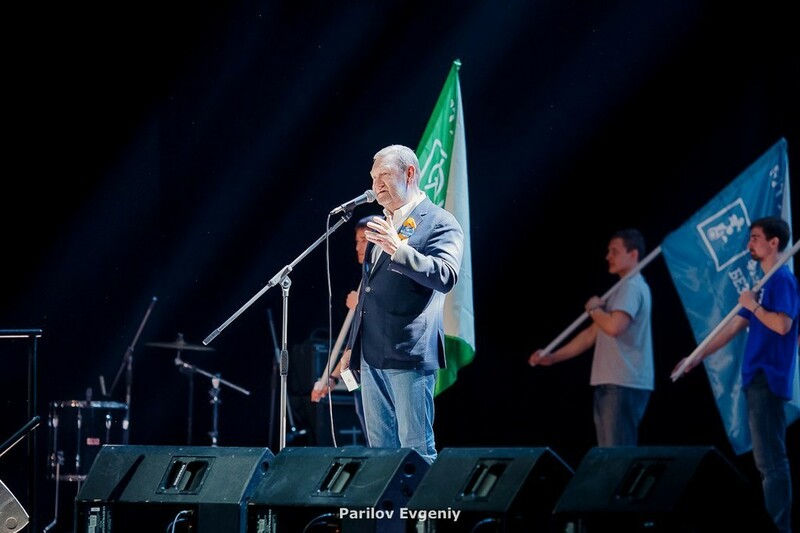 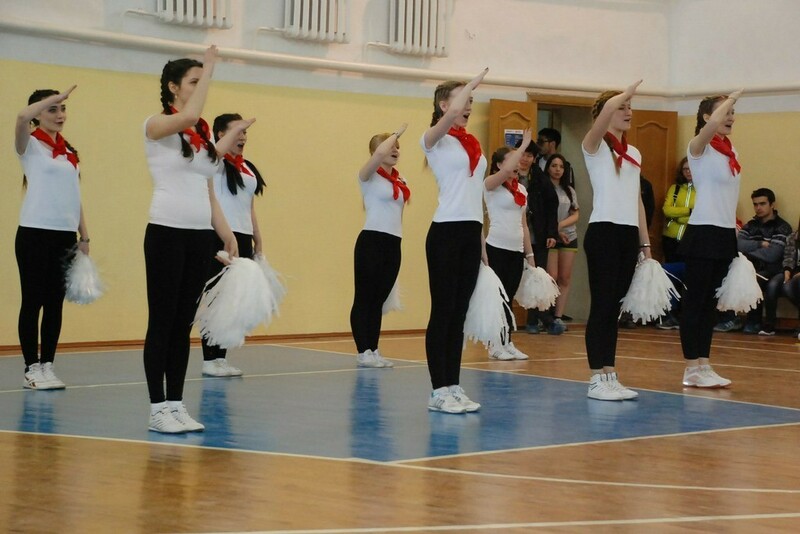 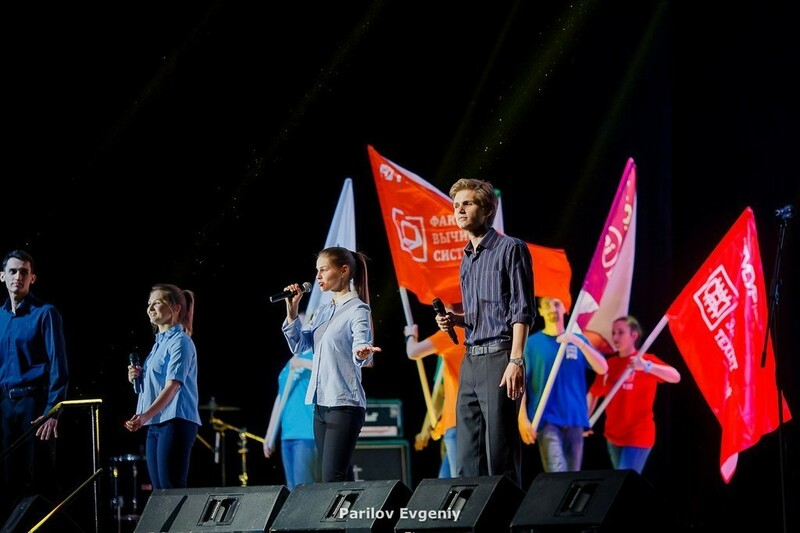 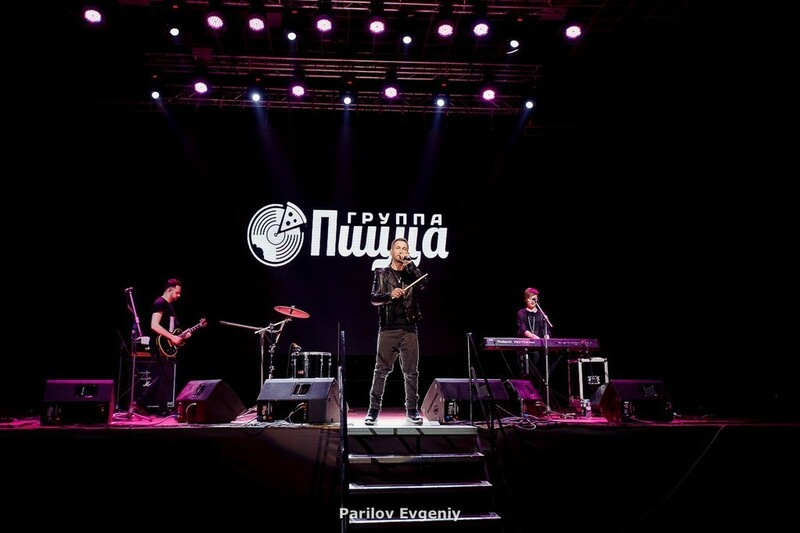 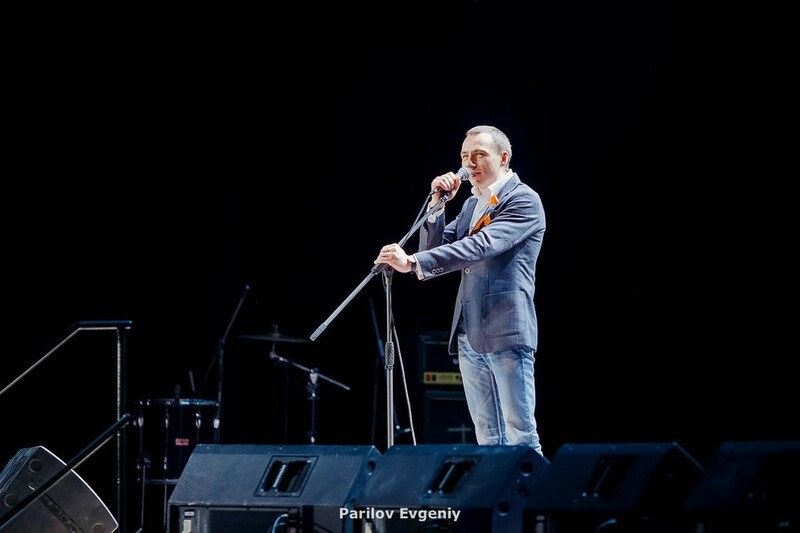 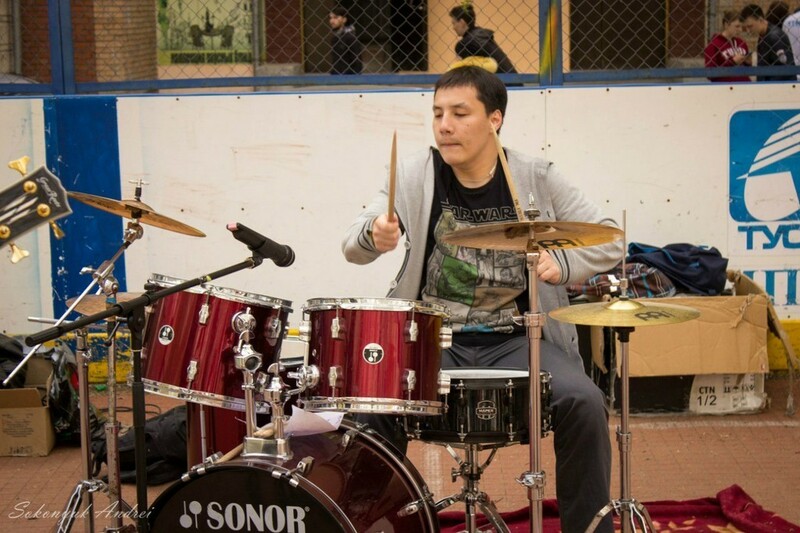 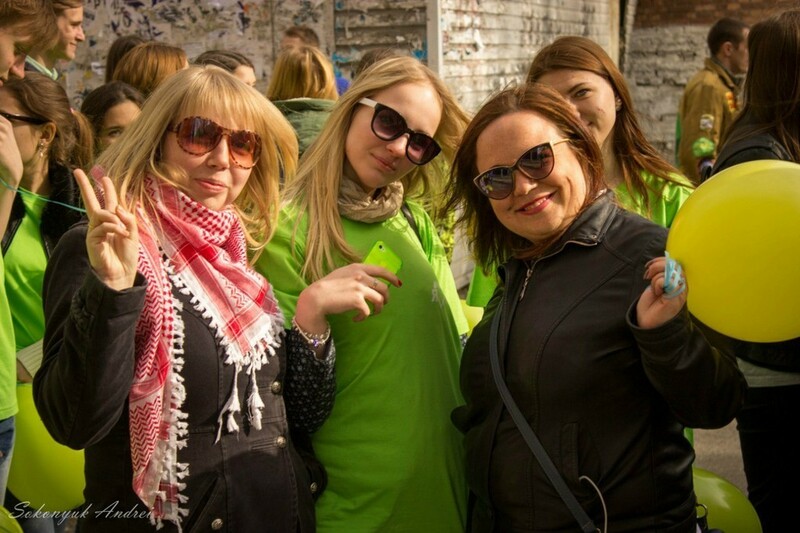 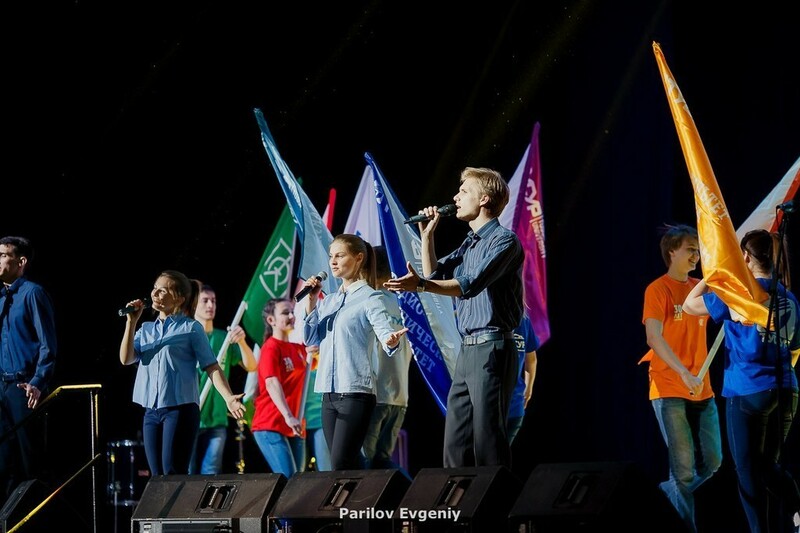 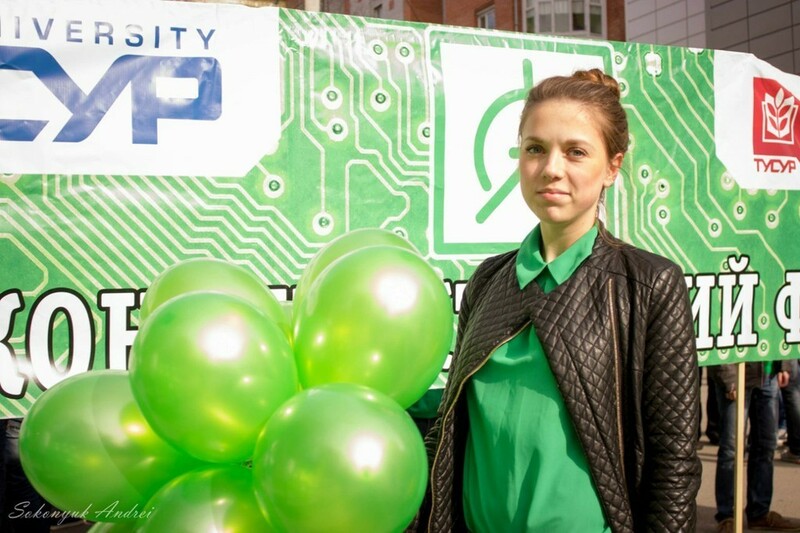 As years went by, students of other faculties joined the celebration, and today RadioBOOM has grown to become a city-wide festival for all students of Tomsk. 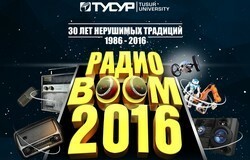 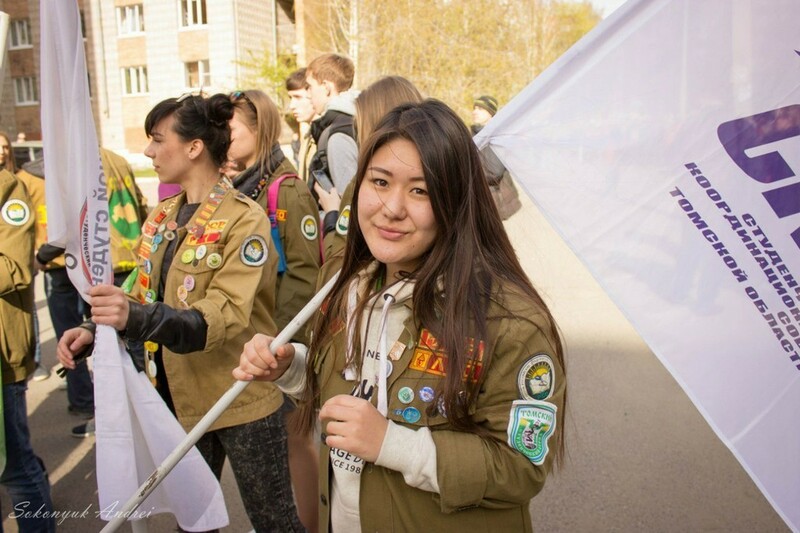 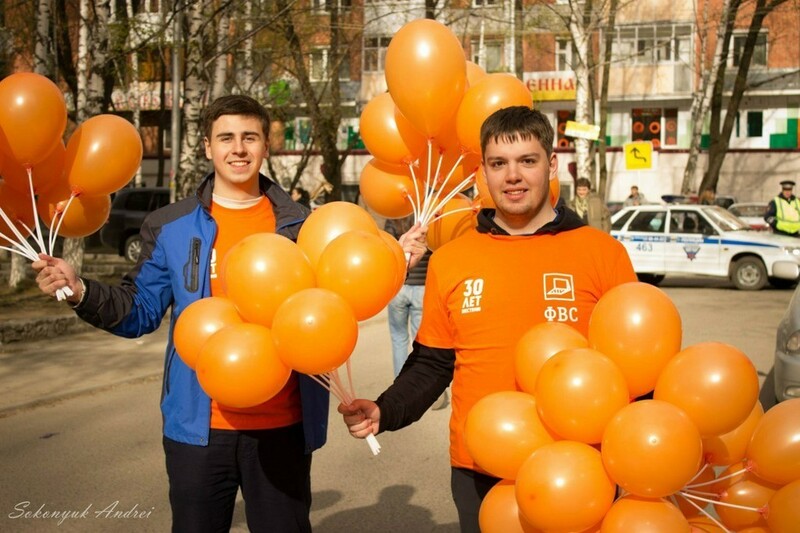 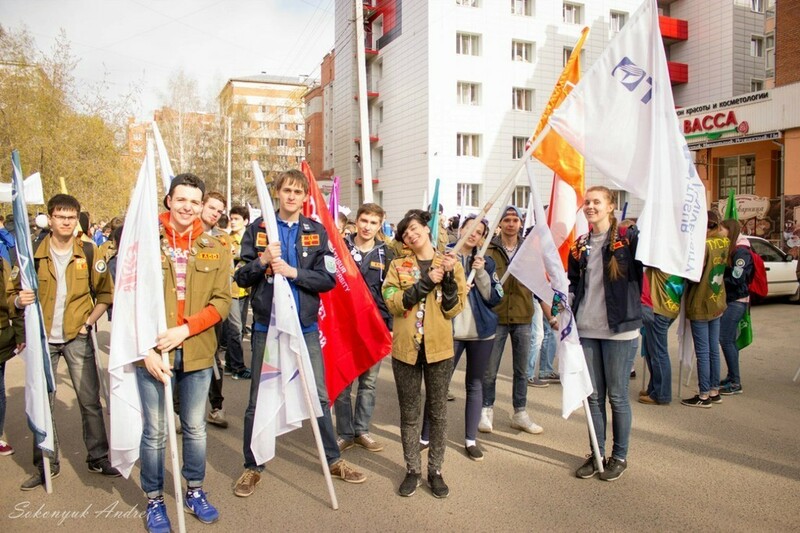 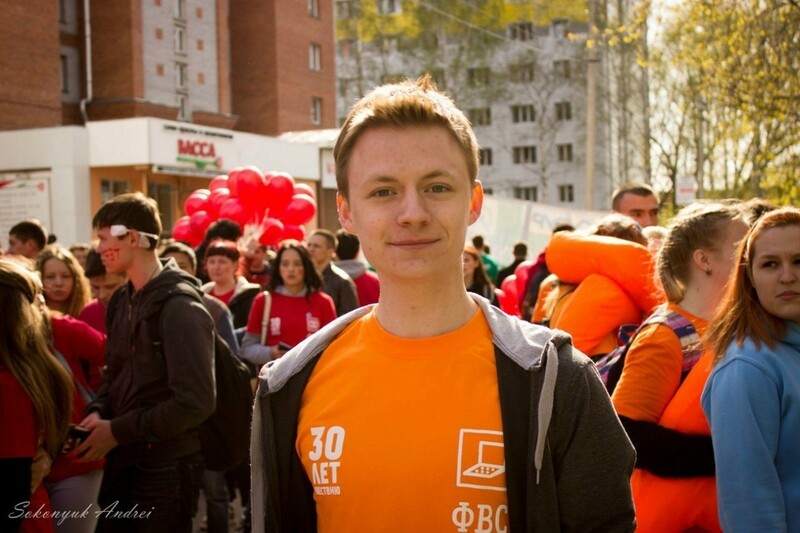 This year, in celebration of the 30th anniversary of the festival, participants of the very first parade lead the student procession through the streets of the city, followed by students of the Faculty of Radioengineering, and then by the rest of TUSUR students. 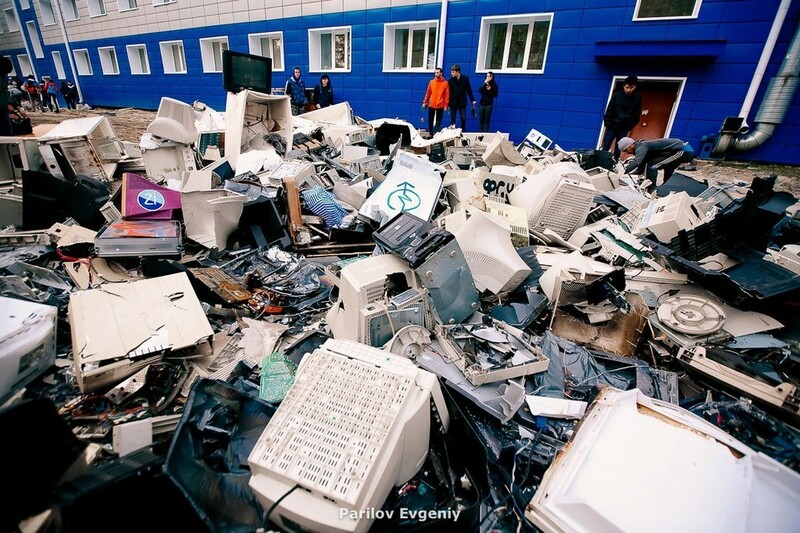 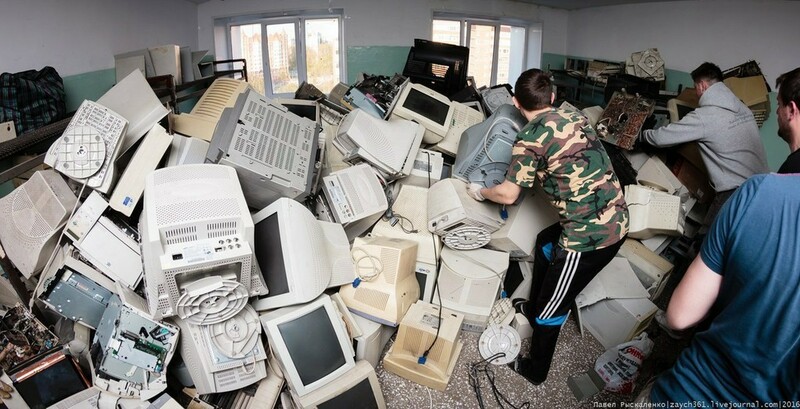 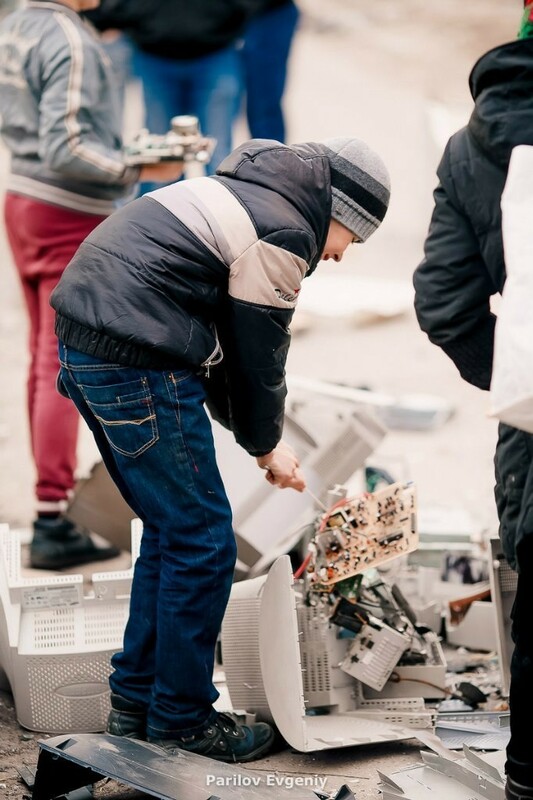 The tradition of destroying old electronics dates back to 1988 and is meant to symbolize the triumph of technological progress. 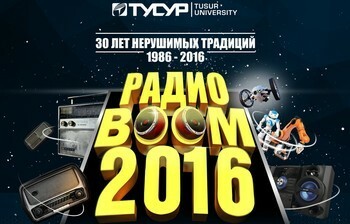 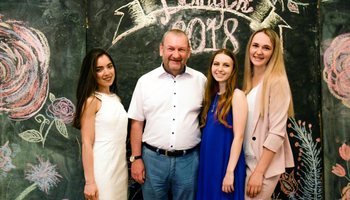 The Faculty of Radioengineering of TUSUR University remains in charge of this tradition to this day. 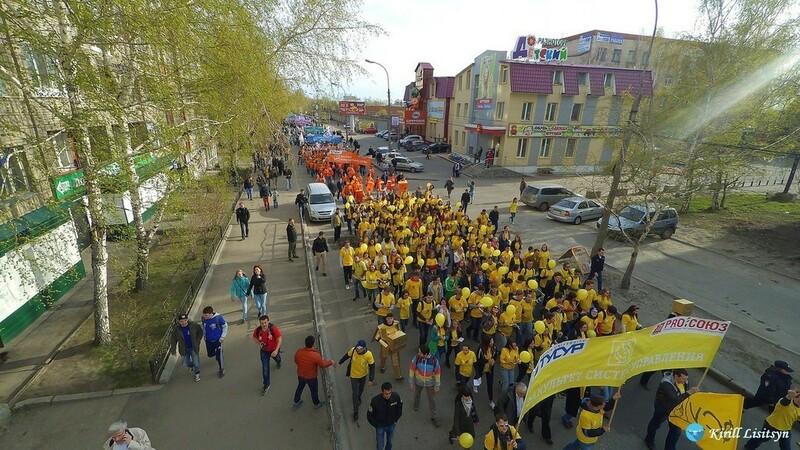 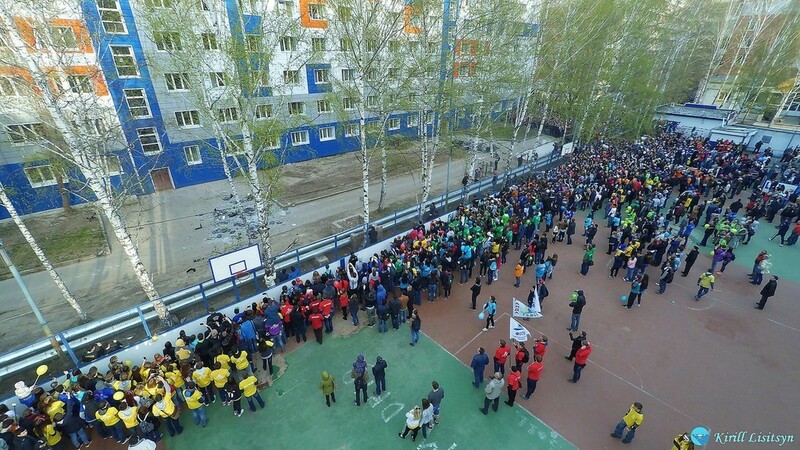 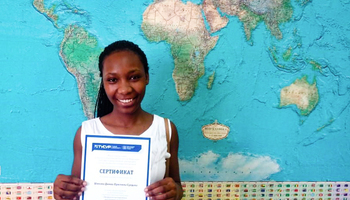 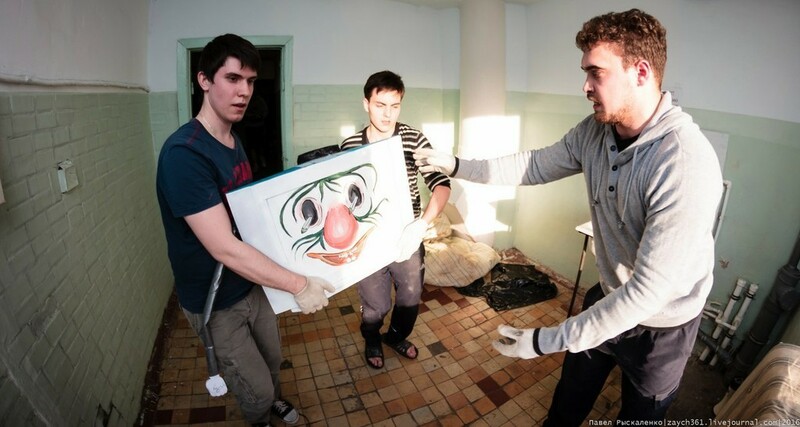 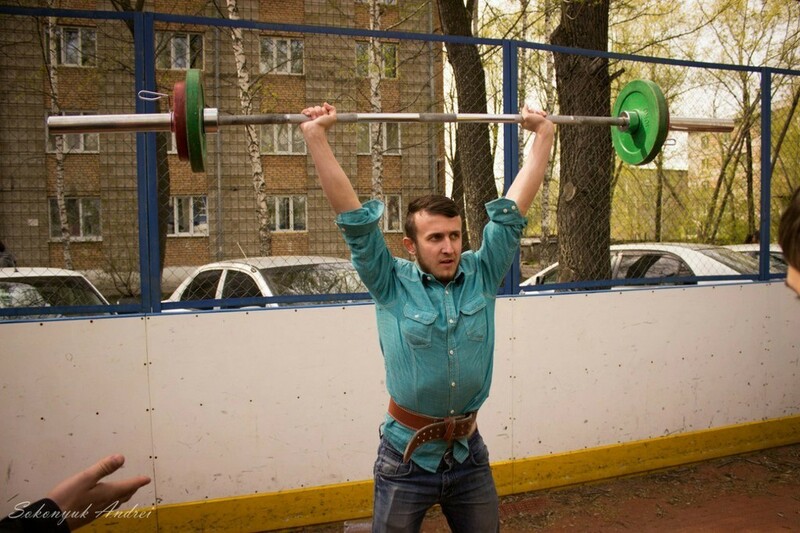 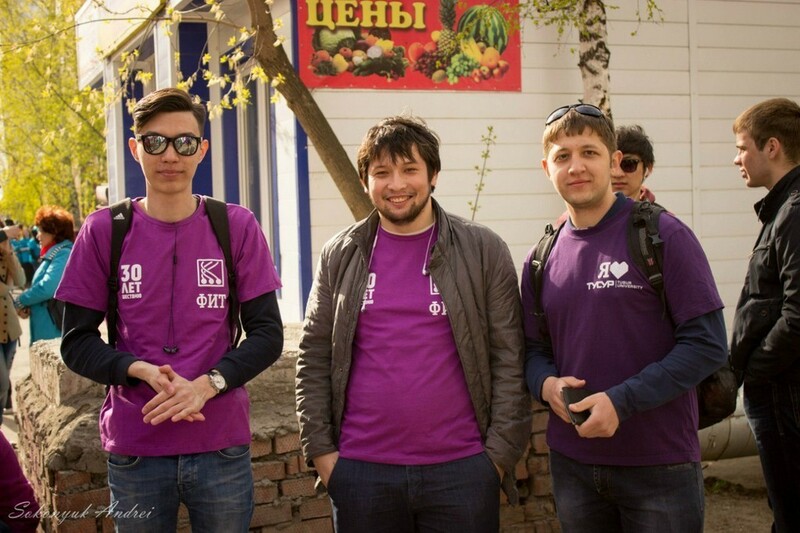 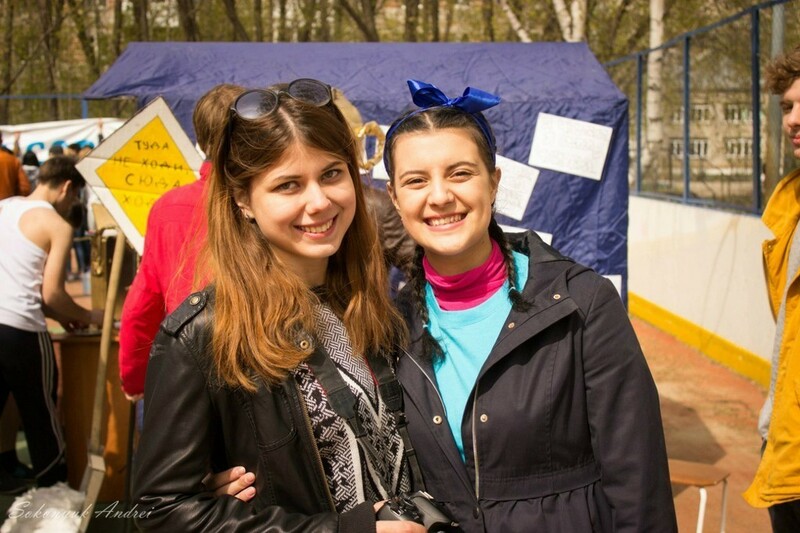 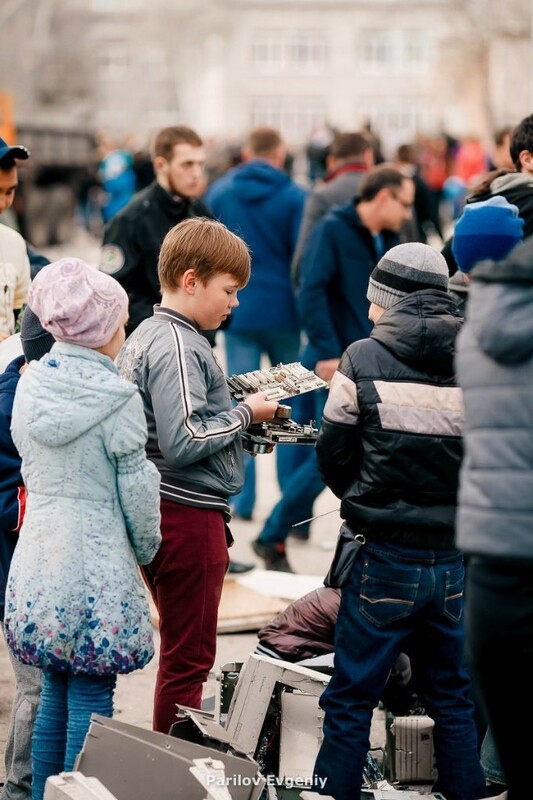 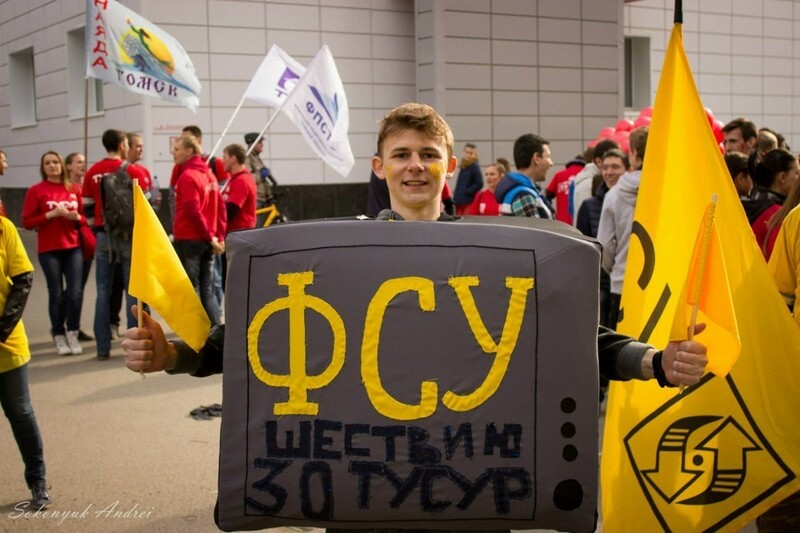 In 2016, TUSUR students planned to throw at least 500 old TV sets and other old appliances out of their dormitory window and set a new Guinness record. 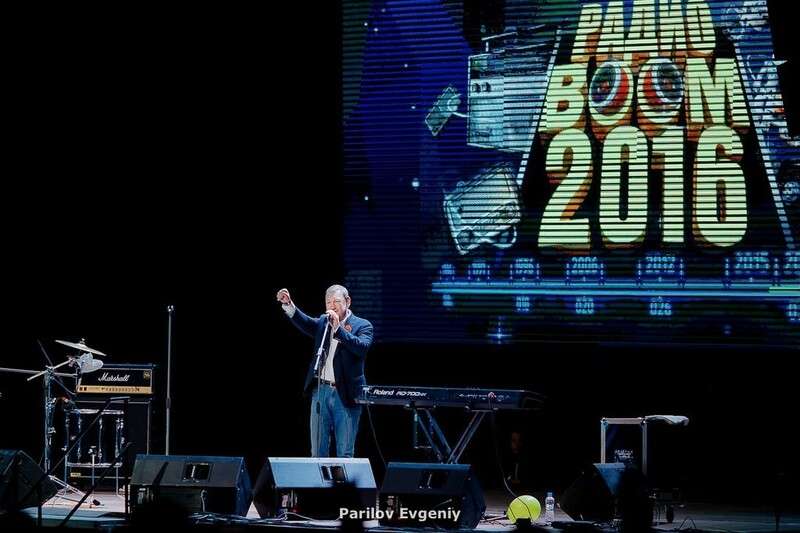 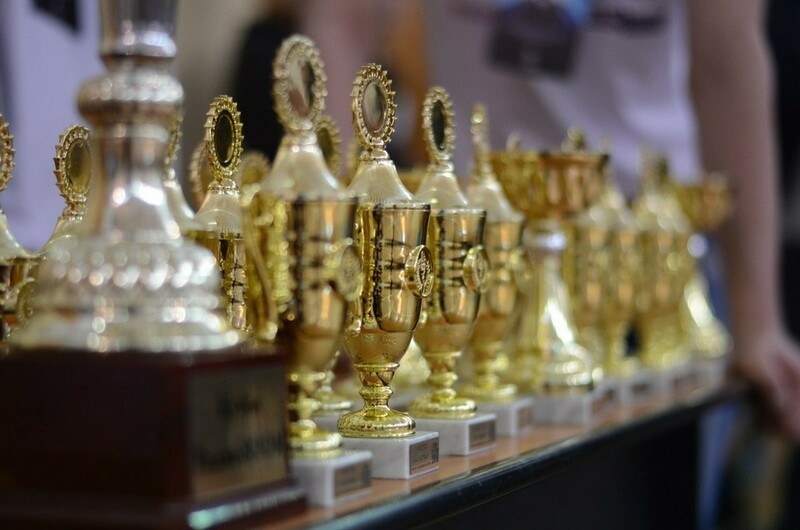 This year, the festival program also included the RadioBOOM Cup championship, Miss TUSUR beauty pageant, Radio Fair and a live concert by Pizza.